It’s vacation time for Harper Harlow and her boyfriend Jared Monroe. They have big plans to head to northern Lower Michigan for a wine tasting event – which happens to be close to a small town called Shadow Lake – and they’re even taking Zander and Shawn along for the ride. In Shadow Lake, Ivy Morgan finds herself in a good mood. 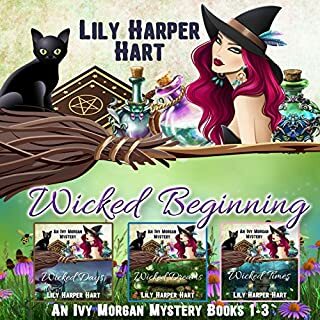 It’s officially the start of morel season (her favorite holiday) and she knows exactly how she’s going to spend the next three weeks of her life, much to her fiancé Jack Harker’s chagrin. 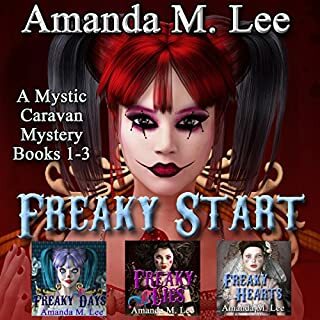 Everything changes when the two groups meet in the woods – the whimsy of morel hunting too much for Harper’s group to turn away from – and they happen to stumble across a body. It seems a local woman, a party enthusiast with a bad reputation, was shot down in the middle of the forest and it appears someone is out there hunting people rather than animals or mushrooms … making for a very dangerous morel season. 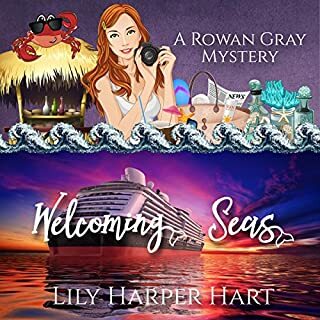 Rowan Gray is a former photojournalist starting a new life on The Bounding Storm, one of the Atlantic Ocean's most decadent cruise ships. She's friendly and excited for her new career...but she's also hiding a secret. Quinn Davenport left a career in the military to become head of security on The Bounding Storm. He expected drinking infractions and the occasional pickpocket, but what he gets is so much more. 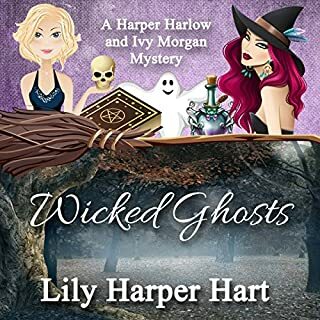 It’s a tangled web of intrigue and magic as Rowan and Ivy come face to face with some carefully concealed secrets. They’re going to have to work together if they expect to survive the murderer running free on The Bounding Storm. Join Zoe Lake-Winters, her husband, Aric, and their daughter, Sami, for three more adventures, including the ultimate battle for survival back where it all started...Covenant College. Watch Zoe and Aric struggle with parenting a tempestuous tween while holding off the dark forces that want to claim their powerful offspring for their own nefarious devices. It all ends here, and the ultimate fight is going to be something no one ever forgets. I'm giving up on it &amp; I rarely quit a story. Zoe Lake and Aric Winters have been through it all. 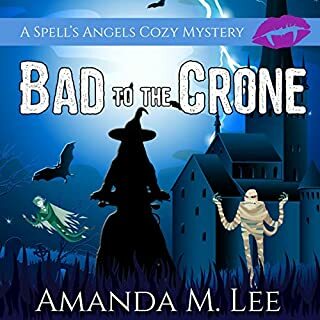 From murderous professors to tan vampires and all of the wolves, witches, and sphinxes they can shake Zoe's magic fingers at along the way. They've survived it all. Now, five years after leaving Covenant College, Aric and Zoe are leading a quiet life hidden away from potential enemies and old friends. All of that changes when a familiar face from the past shows up needing help. 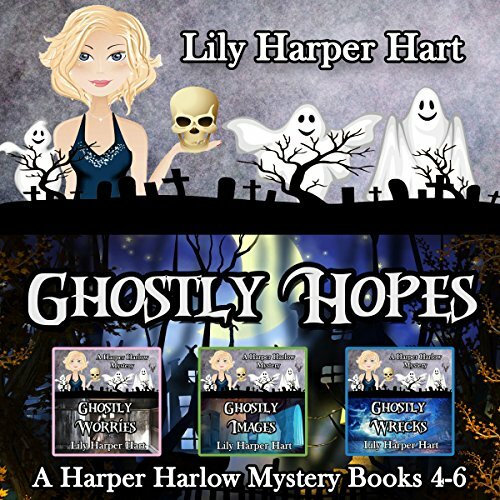 Harper Harlow has it all, including an exciting job, a best friend who serves as a constant source of amusement, and a boyfriend who makes her heart pinch...but in a good way. She may hunt ghosts for a living (and help them pass over to the other side), but she often finds it more fun than frightening. Human beings and their penchant for murder and mischief is another story, of course. That doesn’t mean Harper doesn’t find the occasional bout of trouble. That’s what she’s known for, of course, even though her boyfriend, Jared Monroe, tries to dissuade her from it whenever possible. 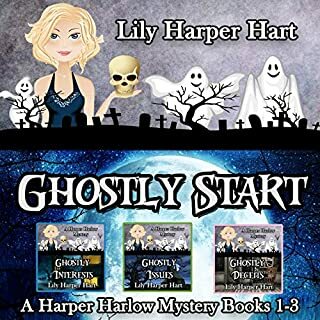 Join Harper and her merry bunch of friends in this three-book omnibus that includes Ghostly Worries, Ghostly Images, and Ghostly Wrecks. Have a ghost of a good time.